EuroJackpot is often referred to as the twin sister to the EuroMillions but usually played in Scandinavia. The other difference is that the jackpot rises to C$79m before it has to be won….and with better odds, what are you waiting for? That’s 5 chances to win BIG! Duck hunting season has just begun. 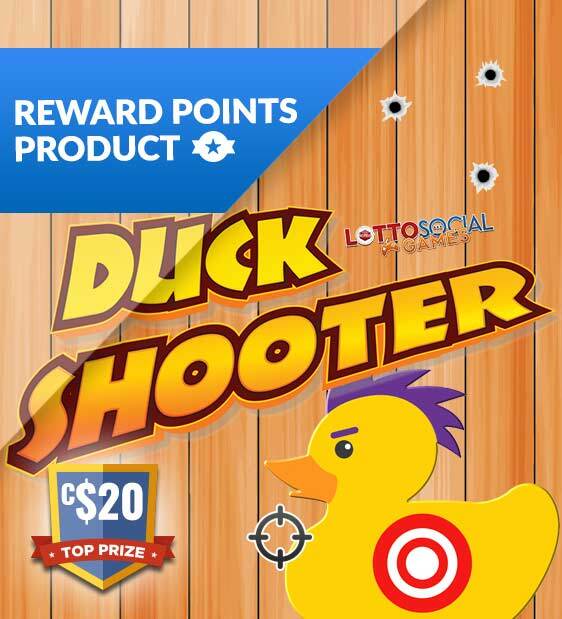 Refine your shooting skills and bag yourself as many ducks as you can to win the top prize! That’s 20 chances to win BIG!